U.S. Secretary of State Rex Tillerson will face perhaps the most challenging stop of his Middle East trip this week when he visits Turkey, U.S. news channel CNN reported. “Beyond threats about a clash with U.S. forces, Turkey's move to attack the Kurdish enclave of Afrin in northwest Syria could undermine the coalition fight against ISIS (Islamic State), as Kurdish YPG fighters who are helping the U.S. rout the terrorist group in the east have begun leaving to help their compatriots in Afrin,” CNN said. 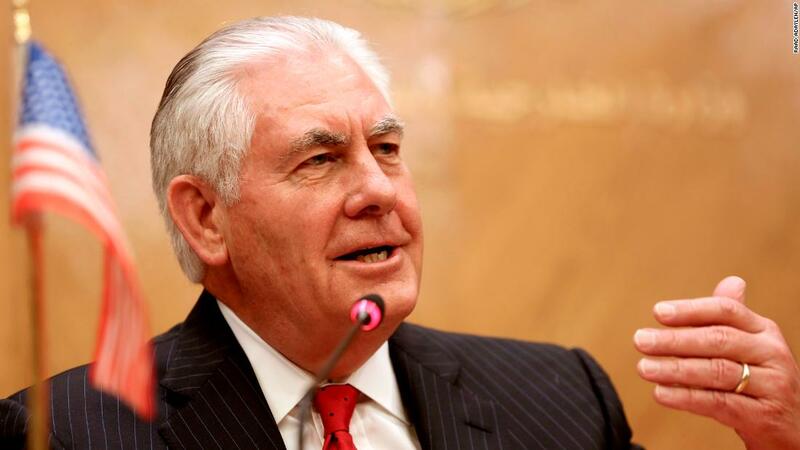 The news channel quoted Ross Wilson, U.S. ambassador to Turkey between 2005 and 2008, as saying Tillerson "has a tough set of meetings and a tough job ahead of him when he's in Ankara" due to "an immense amount of tension in U.S.-Turkey relations." Tillerson’s visit comes hard on the heels of a trip to Istanbul by U.S. National Security Adviser H.R. McMaster on Sunday where he attempted to underscore U.S. sensitivity to Turkey's legitimate security concerns while conveying Washington’s concerns that the Turkish operation in Afrin undermines the fight against ISIS. But Turkey was not receptive to McMaster's message and Turkish President Recep Tayyip Erdoğan accused the United States of building a terrorist army on the Turkish border. "The Turkish government could retaliate by imposing greater costs on the U.S. military for choosing to work with the YPG, including limited access to its Incirlik air base, which has made operations for the coalition against ISIS cheaper and easier," said Wilson according to CNN. The channel also quoted an unnamed State Department official as saying Tillerson would deliver the same message to Erdoğan that the United States has emphasised publicly. "We are urging them to show restraint in their operations in Afrin," the official said, "and to show restraint further along the line across the border in northern Syria." Another unnamed State Department official said, "the rhetoric is hot, the Turks are angry, and this is a difficult time to do business, but it's our belief that there are still some very fundamental underlying shared interests that we have with the Turks, in terms of stability in Syria, defeating ISIS, fighting the PKK and broader questions of regional balance of power, where the Turks play an important role." "At times like this, engagement is all the more important, but ... it's going to be a difficult conversation," the official said according to CNN. Secretary of State Rex Tillerson faces perhaps the most difficult stop of his Mideast trip in Turkey, where President Recep Tayyip Erdogan has doubled down on anti-American rhetoric by appearing to threaten US troops in Syria.